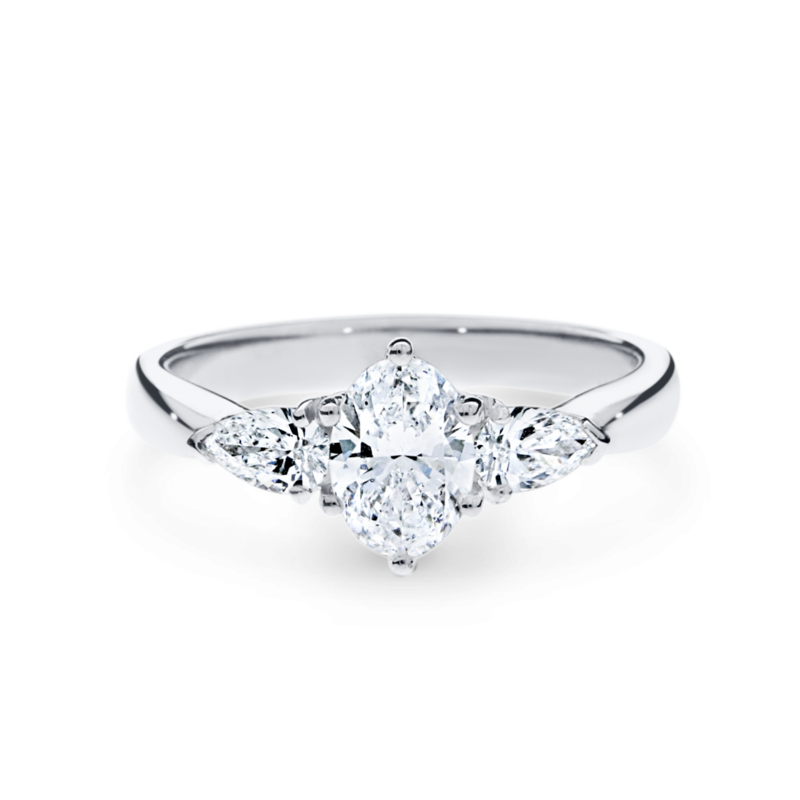 An oval-cut centre stone is complemented by two pear-cut side stones. The sleek contours of the ADC Audrey setting gives a modern elegance for timeless versatility. Available in a range of centre and side stone carat weights and shapes. 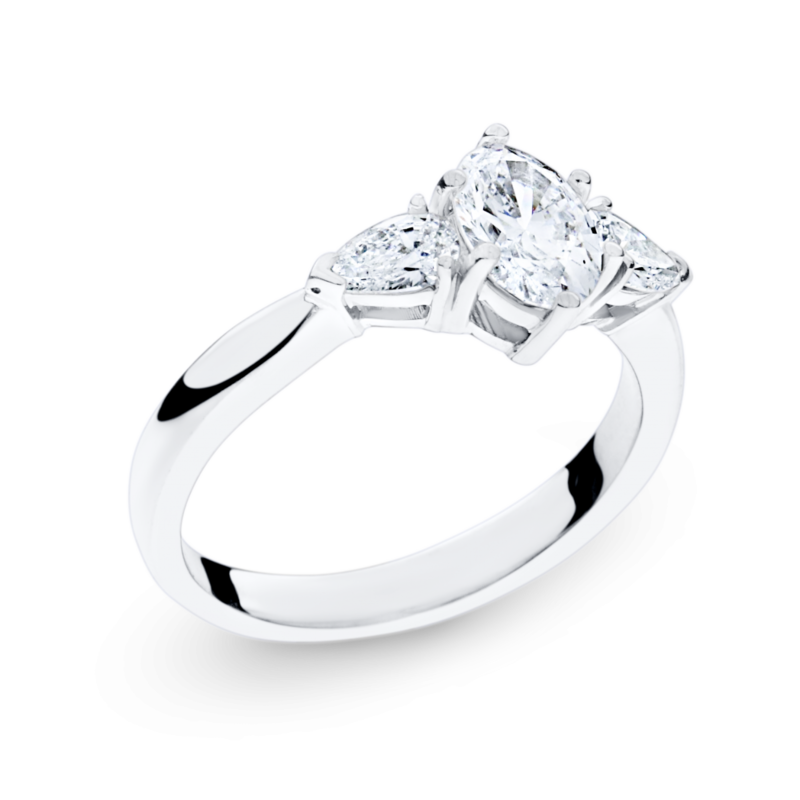 Available in 18ct white, rose and yellow gold or 950 platinum.